Cancer Research UK-funded scientists are to examine whether identifying patterns in medication given to patients before they develop cancer could improve early diagnosis. Only about half of those with the most common cancers have “red-flag” symptoms. And this is even lower in cancers with poor survival rates such as pancreatic, stomach, ovarian and brain cancer. This research is being led by Health Data Insight which has received funding through Cancer Research UK’s Pioneer Awards scheme. Together with Public Health England and the NHS Business Services Authority they have created an anonymous dataset of nearly all the primary care prescription data – approximately 80 million medications being prescribed each month. The researchers will then link this information to data in the National Cancer Registration and Analysis Service to look for trends in medications given to patients before they were diagnosed with cancer. For example, small studies from Denmark have found that many lung cancer patients had a history of being given prescriptions for antibiotics. The data may also shed light on rarer cancers like brain tumours which are particularly hard to recognise. 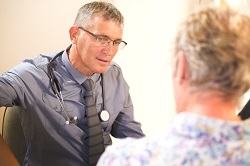 A GP will see a child with a brain tumour probably only once in their professional lifetime. But they will see around two children a week with symptoms of a brain tumour, such as visual problems, headache, or problems with gait. The work from this study could help identify which patients to refer for an MRI. The funding for this research is given through the Cancer Research UK Pioneer Awards scheme which offers up to £200,000 to encourage innovative ideas, from individuals or teams, from any background that could be game changing in tackling cancer.